Take the stress out of your arrival at Madrid-Barajas Airport by booking a private transfer in advance. 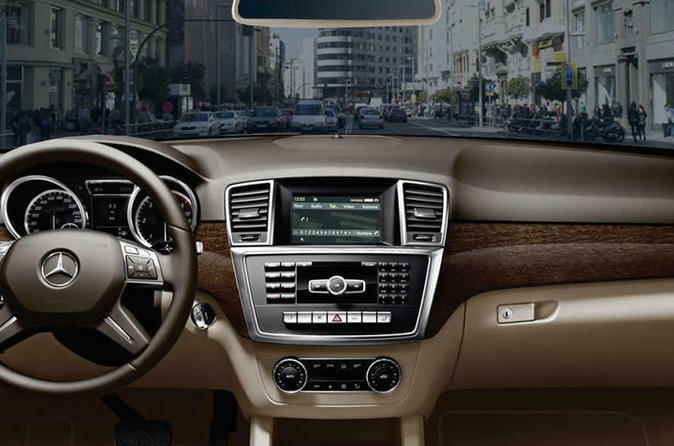 Travel to the city center in a Mercedes E-class taxi and enjoy a comfortable journey to your destination. Service is available both to and from the airport. Prebook a private transfer by Mercedes E-class taxi and enjoy a comfortable and hassle-free ride from Madrid-Barajas Airport to your city-center accommodation. This 45-minute service is priced for a group of up to 4 passengers. If your flight is early or subject to delay, the service provider will track your flight's expected arrival time and send your driver at the correct time. Once your plane has landed, you will have 1 hour to meet your driver, who will be waiting for you in the arrivals area, holding a sign with your name. Transfers are also available for departures, with pick-up at your accommodation provided. You will receive a confirmation email with your voucher and a phone number for the 24-hour helpline to assist you at any time.